When agitation is a necessary component to your process, a Stirred Reactor is used. Stirred Reactors can be either pressurized or non-pressurized. In most pressurized reactors, new pressure relief discs/devices are critical to ensure safety codes. 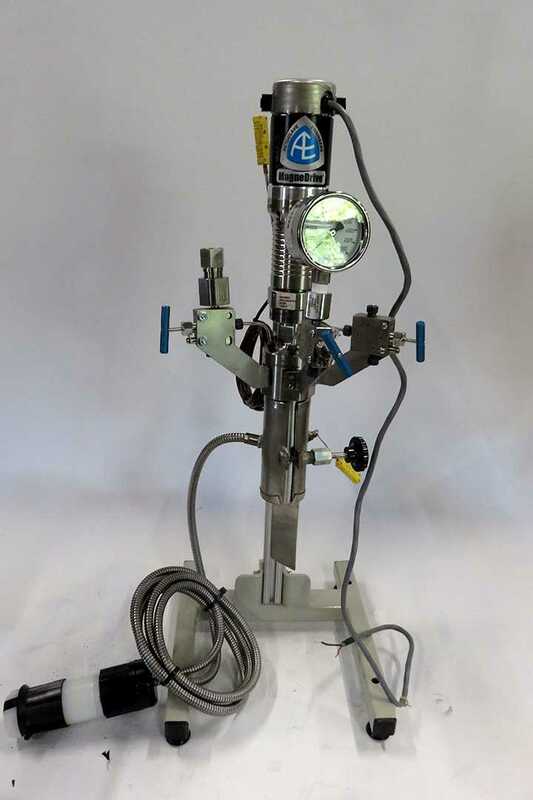 Some of the common manufacturers within our reactor inventory are Parr Instruments, Autoclave Engineers, Parker, and Bellco. 1. Do you provide safety rupture discs with High Pressure Systems? No. For higher pressure systems, customers are required to buy their own pressure relief discs. As a safety concern, used pressure relief rupture disks are not safe without the original documentation and an installation date.